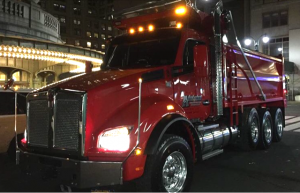 Advanced Site Contractors is a premier provider of landscaping, masonry and paving services in the metropolitan NYC area, serving Staten Island, Brooklyn and Manhattan in NY, as well as most areas throughout Northern and Central NJ. We offer a full selection of exterior services to meet the needs of residential and commercial property owners, including: landscape design, patios, walkways and driveways. In addition to our landscaping services. We specialize in the design and installation of pavers, as well as concrete products, and also provide asphalt paving services. No project is too large or too small. For over 25 years, we have been designing and constructing exceptional outdoor spaces that not only meet, but exceed, expectations. Our staff of experienced landscape, masonry and paving professionals is dedicated to helping enhance the value and enjoyment of your property. We have designed and installed some of the most spectacular properties in the region and have a long history of satisfying customers due to our unmatched creative design, use of quality products, commitment to superior workmanship and focus on exceptional customer service. We invite you to explore our site to learn more about the many services we offer and to check out our extensive gallery of photos depicting residential and commercial projects we have completed throughout the last two-plus decades. Contact us at (718) 984-7483 and discover why Advanced Site Contractors is the place to call for all of your landscaping, masonry, and paving needs in the metropolitan NY area.